It’s party time! Gather up the kids, invite their friends, and get ready for a day of fun! Games are the highlight of a kid’s party: they provide laughs and memories for years to come. 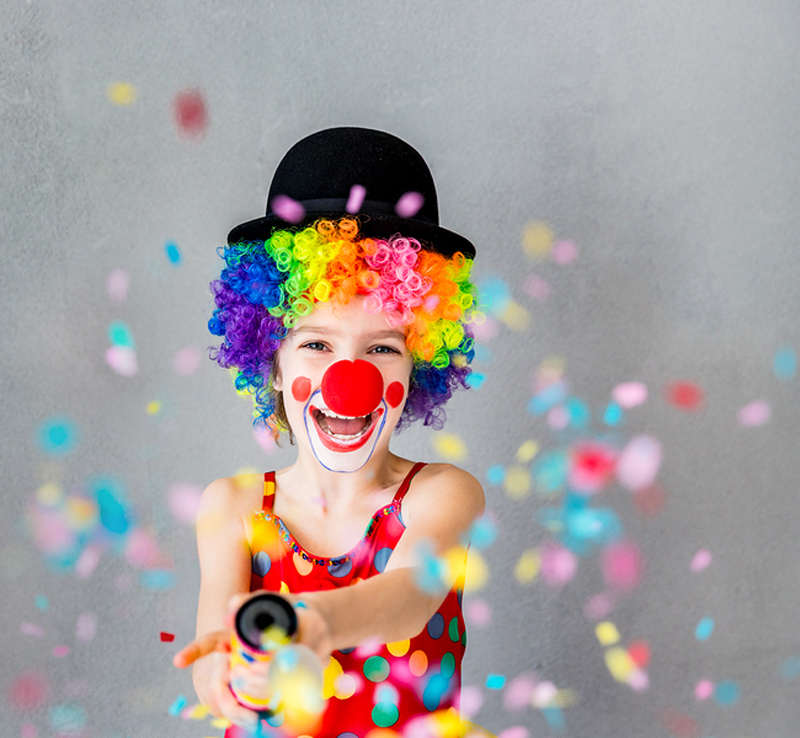 It’s so much fun to plan out party games that’ll be enjoyed by kids of all ages and we’ve got a great list for you, with all sorts of different ideas. 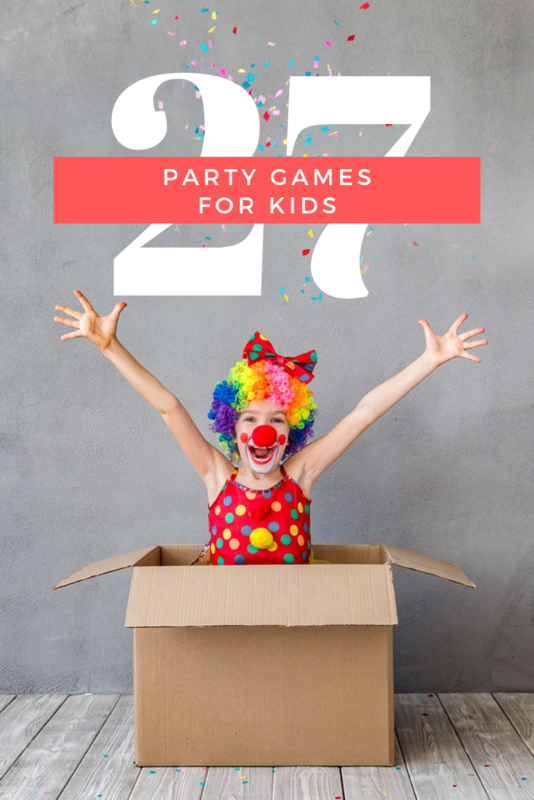 From the best card games to the funniest food challenges and the messiest activities ever, these 27 easy to set up party games for kids are sure to keep everyone entertained! Potato Sack Race: This one’s a classic…for extra fun, set up obstacles in the yard for the kids to hop around on their way to the finish! Punch Balloons: These giant, extra bouncy balloons are a blast to have out at a party and see who can punch them back and forth the fastest. Emojinks Card Game: A great option for an indoor party game for kids that they will love finding the matching emjois in this fast-paced game. Inflatable Shark Bean Bag Toss: Perfect for the pool, toss the bean bag fish into the blow-up shark’s mouth, keeping track of who’s got the most hole-in-ones. Emoji Egg and Spoon Race Game: Cute little set for the traditional egg and spoon race sans the mess…would work well inside. Kids Scavenger Hunt: Can play this inside or outside, making it a perfect option for both sunny and rainy days. Wooden Limbo Set: How low can you go? Find out with this limbo set that’ll become a staple in your backyard all summer long. Watch Ya Mouth Card Game: An absolutely hilarious game where you’ve gotta say a funny phrase while wearing giant cheek retractors. It’s definitely one of those party games for kids that will make you LOL for sure. Obstacle Course: Set up the ultimate afternoon of fun at home or a local park using household items that’ll double as obstacles for the kids to make their way through to reach the end of the course! Water Balloon Pinata: For those hot summer days, fill up water balloons, string them on a line, and let the kids get to popping. This is a party game for kids that I know my kiddos with love! Donut Challenge: Donuts are fun to eat on their own, but taste even better in a little friendly competition. String them up from a tree branch or a banister inside and see which kid can gobble theirs up the fastest without using hands. 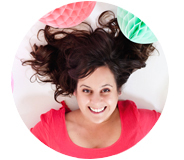 Balloon Burst: Fill balloons with tiny prizes before inflating. Then have the kids each take one, and using only their bottoms, try to pop the balloons! Gummy Bear Pie: Hide 10 gummy bears in a plate of whipped cream and let each kid race to see who can eat them up first! Color Fight: Fill nylons with color powder, divide the kids up into different colored teams, and send them off to battle wearing white t-shirts for a colorful chase! Punch Box: Create a prize board that kids can punch to grab their gift. Face Cookie: Starting with a cookie on the forehead, see who can move it to their mouth the fastest without using hands. Outdoor Twister: So much more fun to bring this game outdoors by decorating the lawn with colorful circles and letting the kids get all twisted up! Balloon Tennis: DIY rackets made using paper plates and balls out of balloons for a fun challenge that can be played with two or more players, inside or out. 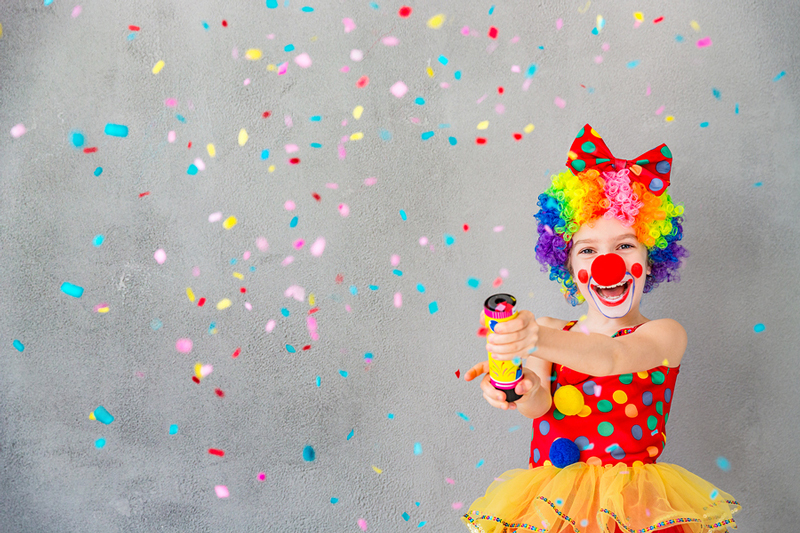 Here we’re sharing some of our tried and true party games for kids that you can get in on the action too. There are step-by-step instructions so you can easily recreate the fun at your own party! Place a long strip of heavy-duty plastic sheeting* on the grass. (If the kids are older (and gutsy) you can go downhill, but you certainly don’t want to go up). *You gotta use the good stuff otherwise your slip n slide will tear. Secure with landscape anchor pins. Generously pour on a slippery solution of choice. My go-to’s are dish soap + water or cooking oil. Get a running start, and slip and slide your way across the lawn! Pick out the “treasure” (toy, prize, party favor) that you’re going to use and hide it well. Write clues (the number will vary based on age, but anywhere from 5-8 is good) out on paper. It’s fun to make these rhyme, but if you’re not great at riddles that’s ok too! Send the kids off on a hunt for buried treasure, offering assistance to the little ones as needed. Wrap a small gift in a box. Wrap the box in a layer of fun and colorful wrapping paper. Repeat step 2 until the box is wrapped in more layers than there are children participating in the game; I’d say at least 3-5 more. Having everyone sit in a circle, let the first kid unwrap the first layer, passing the present to the person on the right once their layer is removed. Keep unwrapping and passing until the final layer of wrapping paper is off…that kid gets to open and keep what’s inside! This party games for kids is one of the best! Using recycled tin cans, paint in fun colors, adding your own flair and design. Stack them up in a pyramid shape on top of a table. Let the kids throw a *soft* ball at the cans to see how many they can knock down. *You could play this tournament style and set up a bracket for older kids too. In a large sandbox, bury multiple little toys, rocks, pebbles, etc. Let kids hop into the “treasure chest” and see how many they can dig out and find! *Add a creative twist by burying prizes of varying value to add a fun points system. Or, have a grand prize for most of one object collected. Place chairs in a circle, one for each player. When the music starts, have the kids walk around the back of the chairs in a circle. Once the music stops, they’ve got to scramble to get a seat! If you’re left standing, you’re out. Continue until there’s just a single chair filled. Fill a bucket of water, one for each kid playing. Add a variety of whole fruit (with edible skin), a piece of each kind per bucket. Think apples, pears, plums, peaches, or nectarines. Shout out the name of a fruit, and have the kids try to bob out that piece, with their eyes closed! They’ll have to nibble around to taste which one is the right one. Continue until all the fruit is removed from the buckets, crowning the most bobbed the quickest the winner! How awesome are these party games for kids?! I love the variety and that they really can be tweaked so that kids of all ages can get in on the fun. With ideas for inside and outside play alike, these party games are perfect for any kid-friendly celebration! Would you share with me some of your favorite ideas? I’m always up for trying something new and different!